Huge congratulations to you both! Ryan Kopperud will be receiving a new custom lava banger from Paper Tiger and Lazerbeak (that’s me), and Guru Doug will get a brand new verse from P.O.S and Sims to use on a future track. We’ll make sure to highlight both new songs whenever they’re wrapped up and ready to share with the world. Bang bang! Again, thanks a million to everyone that participated, created, and contributed new music to this project. It was an absolute blast to listen to every single one of these submissions. I’m blown away and extremely inspired by the amount of interest this contest received, and we will definitely be doing more things like this in the future. Until then, check out all of 205 remixes below and enjoy! And if you want a little refresher on how the original Dangerous Jumps album and instrumentals sounded, I’ve got that for you below as well. 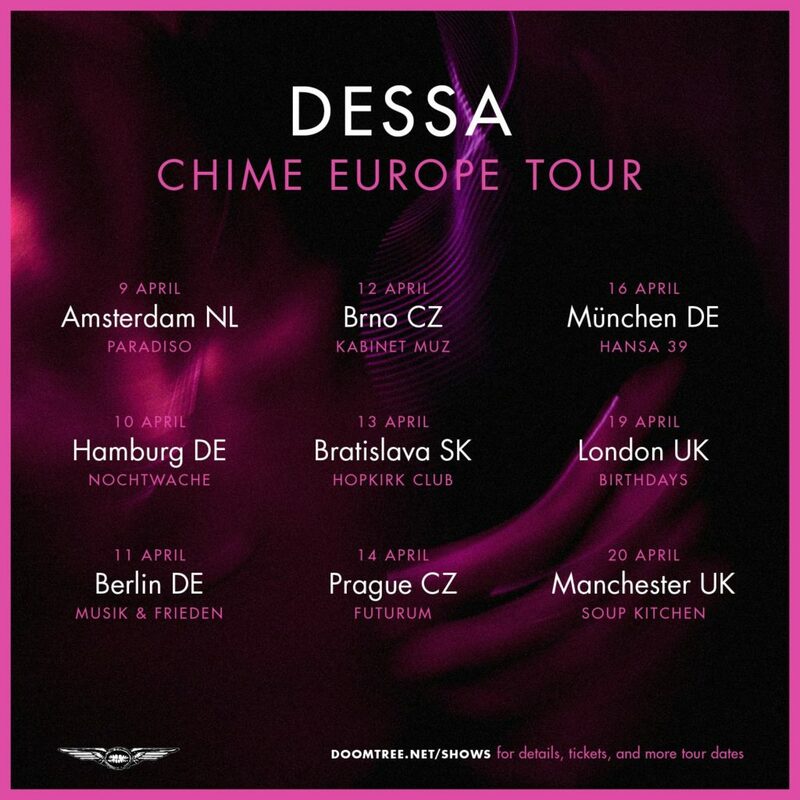 Last week, right before heading down to the madness that is SXSW, Dessa released a brand new live video for her latest single “5 out of 6.” The performance was filmed last month at a private show in the Clown Lounge of St. Paul’s legendary Turf Club. Check out the new live band version of the song below. And speaking of Dessa shows (SEGUE!!! 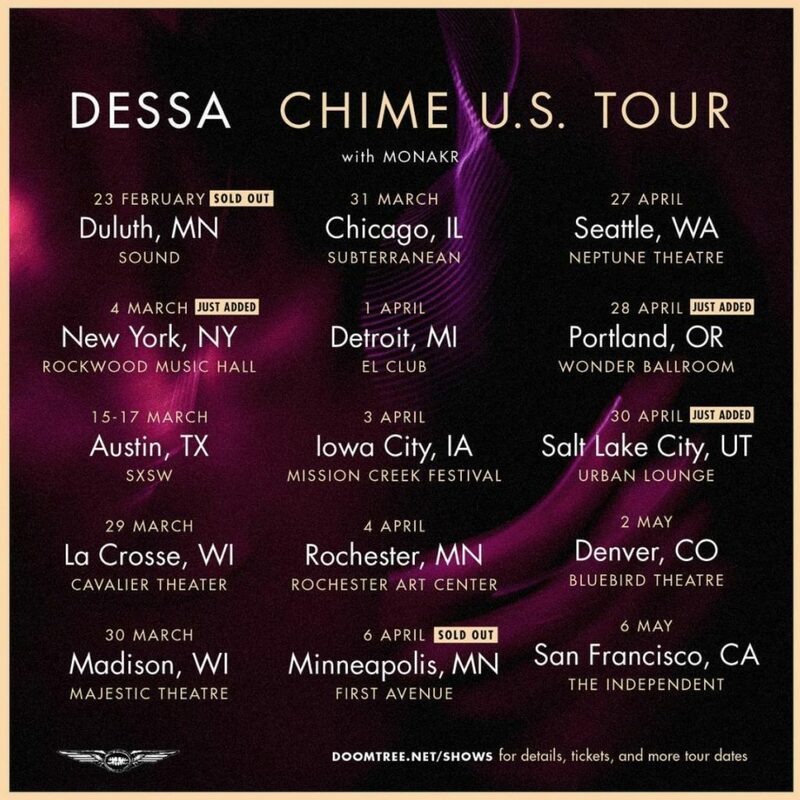 ), she’s going to be bringing her Chime Tour all over the world in the coming months. Things kick off in the Midwest on March 29th and continue all the way throughout the UK, Europe, and the West Coast throughout April and May. Check out all the currently announced dates below and grab your tickets right HERE before they sell out. Lots more dates coming real soon! 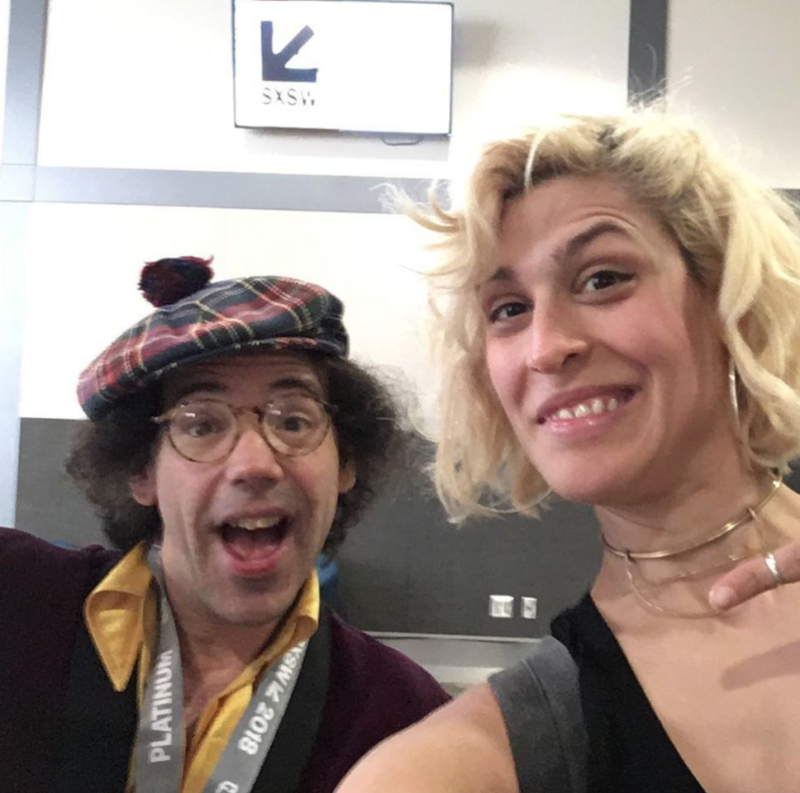 Oh, and here’s a quick/amazing bonus photo of Dessa and the infamous Nardwuar hanging tough down in Austin at SXSW this past week. Can’t wait to hear all about this. Bam! That does it for Doomtree-related music news this week. I wanted to fill you in briefly on a new music program that our friends at the Hennepin County Libraries are putting together called MNSpin. All the Hennepin County Libraries are currently taking submissions and seeking recordings of original music by MN artists of all genres. Music on MNSpin can be streamed online by anyone and downloaded by library cardholders, plus artists are paid a stipend for selected works. Submit your music for consideration by March 28th and grab all the sweet deetz right HERE. 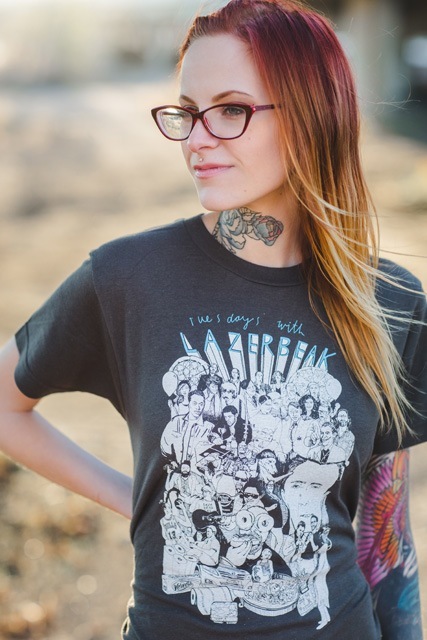 This is a really awesome way to showcase homegrown music from our great state. Check it out! I generally try to keep this blog from getting too political and stick to the music for the most part on this weekly platform, but I’d be remiss if I didn’t spend a little time quickly talking about my good friend Kyle Frenette and his campaign to run for Congress in the state of Wisconsin. Kyle is better known as the manager of Bon Iver and owner/founder of Middle West Management. I’ve looked up to him as a mentor of sorts over the years as I’ve begun navigating the management world myself, and I know where his heart is with this race. Kyle has taken a full sabbatical from his manager day job to stand up for the little guys and try and make a major impact in his hometown swing state of Wisconsin (7th Congressional District to be exact). It’s gonna take a lot of work (and predictably a lot of money) to get him to the finish line and keep him competitive in this political day and age. Check out the video below to learn more about Kyle and go HERE to check out all the reasons why he’s running. For those of you that don’t live anywhere close to Wisconsin, you can still make a huge impact and contribute by donating to the campaign right HERE. Thanks for taking the time to check this out. I’m really proud of this dude. Alright, back to the music! I’ll leave you with a handful of Bonus Jams that I’ve been bumping all week. First up is one of my favs, Kamaiyah, who’s back with an awesome video for “Dope Chick,” the standout from her most recent mixtape. Next up is the debut album from singer Toni Romiti. I got put onto this record just this week from Kehlani’s Instagram feed and I’m so glad. This Tomboy album is GREAT. Check out “Options” below. Boys Noize just released a brand new volume in his Strictly Raw series, and it is completely packed full of non-stop bangers. Check out “S&H Disco” below. While we’re on the electronic music tip, here’s the debut single from a new group called Night Stone. Check out “Phantom Quartz” below. Run The Jewels have teamed up with Rick and Morty to release this crazy animated music video for “Oh Mama” off of RTJ3. This was definitely a standout from that album for me. I’m getting insanely excited about this upcoming Leon Bridges album. The two teaser songs he released last week are both phenomenal, especially this “Bet Ain’t Worth The Hand” track. FLAWLESS. I’m still very much in love with the Camila Cabello solo album. Really enjoyed watching this mini-documentary that YouTube released on her rise to fame and the making of Camila. I might have to bite the bullet and cop Taylor Swift tickets just to see her open up the show. The Hold Steady’s Craig Finn is back with another new solo track and this one definitely keeps his winning streak going. Craig had one of my favorite albums of 2017, and he continues to crush it with each new track that comes out. Here’s “Galveston” featuring his Uptown Controllers band. Aaaaaaaaand I’ll end this round of Bonus Jams with a total guilty pleasure. It’s heating up here in MN and Spring is right around the corner (even if it is currently snowing), which means I generally start getting way into modern Top 40 country in anticipation for long cabin road trips in the summer. This new one from Sam Hunt is absolutely perfect for that kind of drive. Sorry not sorry. BOOM! That does it for this post. Again, congrats to Ryan Kopperud and Guru Doug on winning the Shredders Remix Contest. I hope you all have an absolutely awesome week and I’ll see you back here next Tuesday for another big-time round of TWL.